Ooze classic country this season with the Joules Fieldcoat in two lovely tweed options. This timeless coat has large pockets with button flaps, brass trims and a stand up collar. 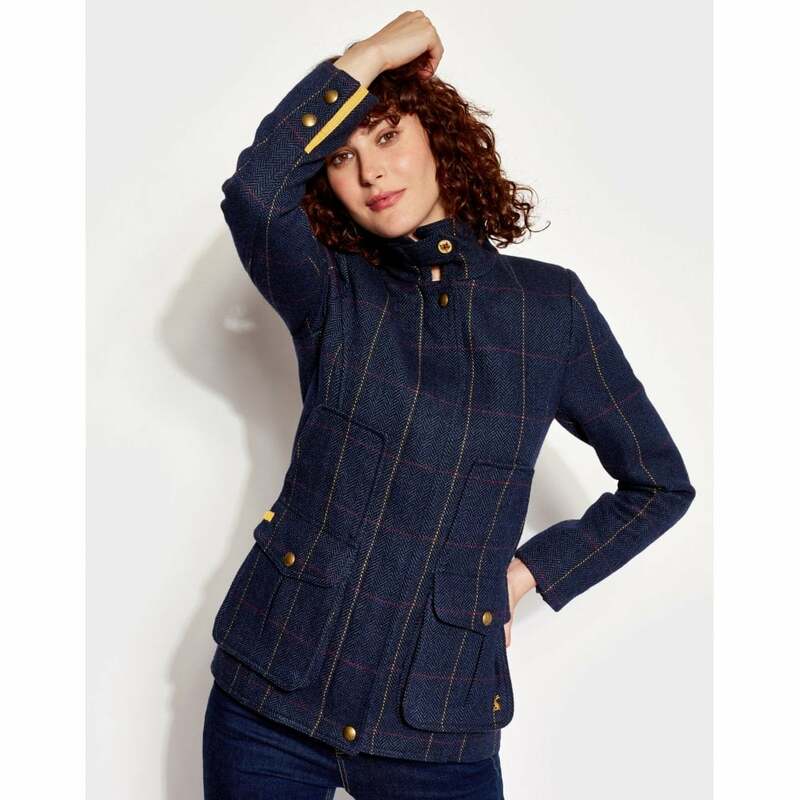 The red check tweed option has a lovely horse and rider lining, whilst the navy tweed option has a beautiful navy woodland floral lining.